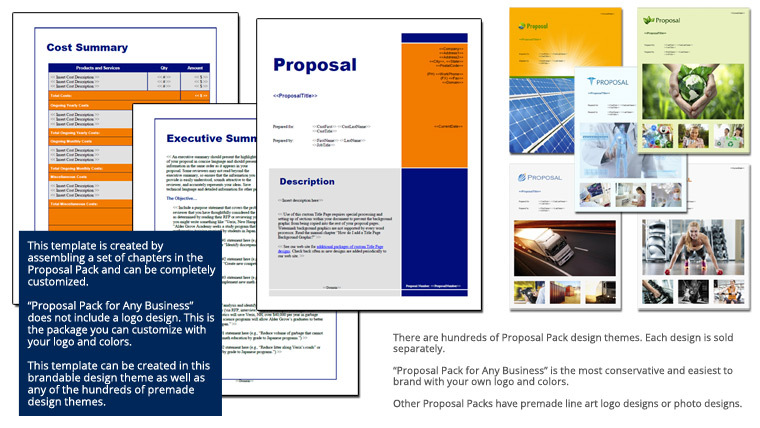 This 22 page layout is included with Proposal Pack. Create variations of this document of any length to suit your specific needs. Order and download for $79. This set of templates was selected for a project to drill a water well for a local community needing access to a clean water source. that I bought the Proposal Pack from your site. I actually bought it to use as a general reference tool because I didn’t really think that it was going to be as comprehensive as it actually is. The reaction from my existing clients has been great."